Please email with any questions or if additional photos are needed ..
. PA residents must pay 6% sales tax unless you have a valid resale number. We mail to the United States only. Purchaser is responsible for Priority Mail and Insurance Costs. 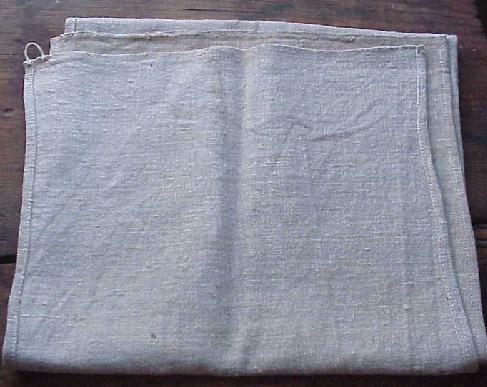 Early Pennsylvania Homespun Linen Towel ..
Beautiful old and authentic homespun linen towel .. found many years ago at a farm auction in Lehigh Co. Pa. Measuring in length ~ 40 1/8” ~ width ~ 11 1/8” ..
Old hanging loop on one corner of towel ..
Color is the old tow color .. condition is very nice with old brown age in different areas of towel .. this would be expected for this early textile ..